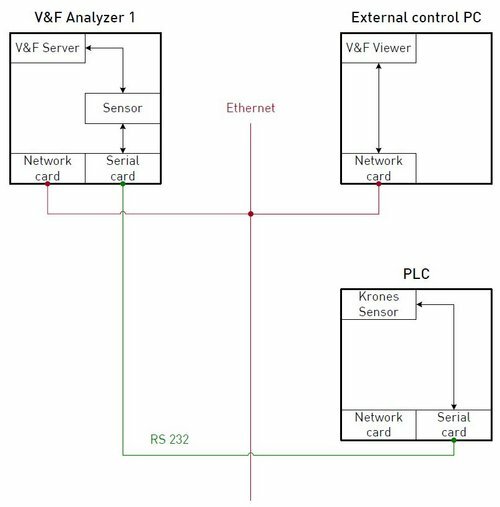 The Sensor Interface was designed to engage the V&F Analyzer in fast automation processes. An analyzing process is triggered over a digital starting pulse. The following figure shows the connection of the Sensor interface.